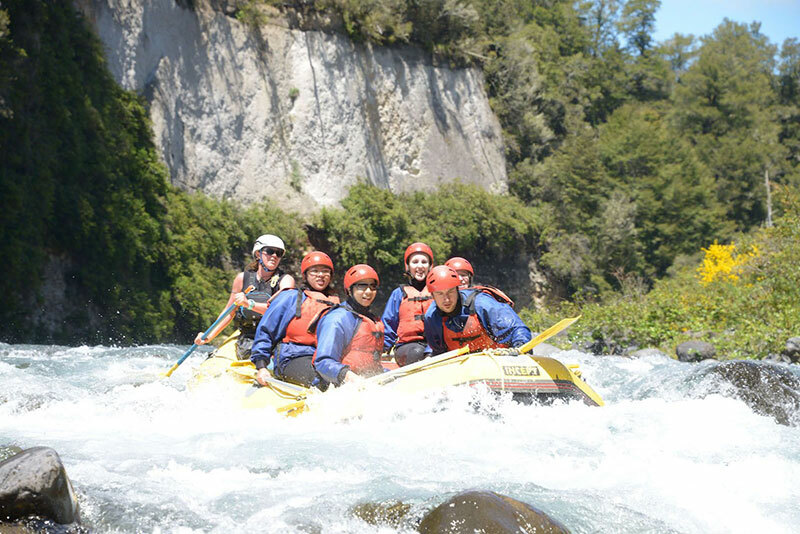 "Any time that is saved by not having to answer simple questions is great"
Tongariro River Rafting (TRR) is a family owned and operated White Water Rafting company in Turangi, New Zealand. They offer a wide range of rafting trips, fishing trips and multi-day adventures on the legendary Tongariro River. Garth is always looking for opportunities to provide the best customer service and increase bookings. That relentless focus is one of the reasons TRR is ranked the #1 on Trip Advisor for whitewater rafting in the North Island of New Zealand. He knew their business should be keeping up with modern trends and interacting with their customers via website chat. Before Yonder they knew that they should have chat on their website with some research suggesting up to 72% of consumers expect to be able to chat with a business. Garth felt that “being a smaller company we don't have a person spare to be able to sit behind a desk all day watching an online chat, more often than not the office person is out helping customers”. "We needed a solution that answered at anytime with no delay." Tongariro River Rafting’s next challenge was finding a solution which “answered at anytime with no delay”, and they are correct. If chat isn’t answered within 5 minutes it’s more than likely you have lost that potential customer because they’re researching alternatives. With the installation of Yonder on the TRR website Garth can now say that “After putting in some good time we are getting really good results and the bot is able to answer questions to the point where the customer doesn't need to talk to us at all”. Eddy (that’s the name Garth gave of their virtual assistant) is helping answer over 60% of visitors who chat, and that is an awesome result for TRR. Garth can also see visitors click through to their booking system to book. And, Garth and his staff have chatted online with guests and confirmed numerous bookings. Eddy answers questions immediately, is helping to direct people to book in their online booking system, and gets staff to help for more complicated questions. 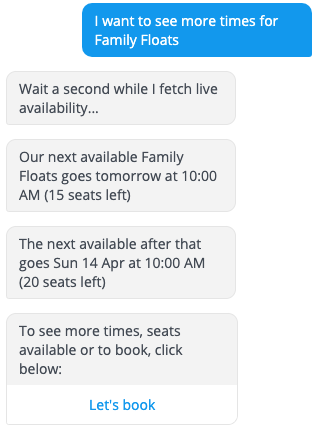 Eddy can also answer questions about availability with live information from their RTBS booking system, just one of the booking systems that Tongariro River Rafting use and which Yonder integrates with. 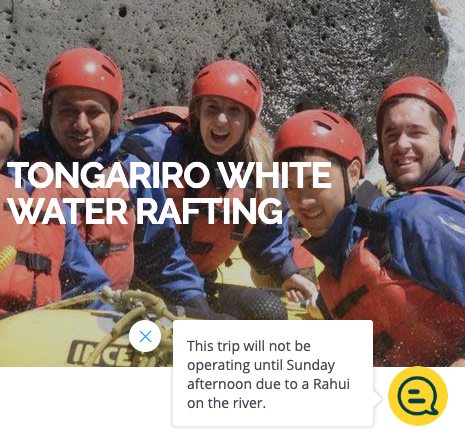 Other features that the team at Tongariro River Rafting are enjoying include “The targeted messages on different pages on the website.” This allows them to communicate to potential customers which trips are the most popular and also helps to engage people in chat, keeping them on their website for longer. Another feature that Garth and the team enjoy is “being able to provide feedback on a conversation straight away in the yonder app”. The feedback feature streamlines the process to communicate changes to the Yonder team, continually improving the virtual assistants’ performance. There is no training, coding or technical knowledge needed by Garth and his team to be able to use and improve the virtual assistant, it happens seamlessly for them. Tongariro River Rafting believe that chat bots and automation are “the way of the future” and Yonder has helped them to get a step closer to that future.